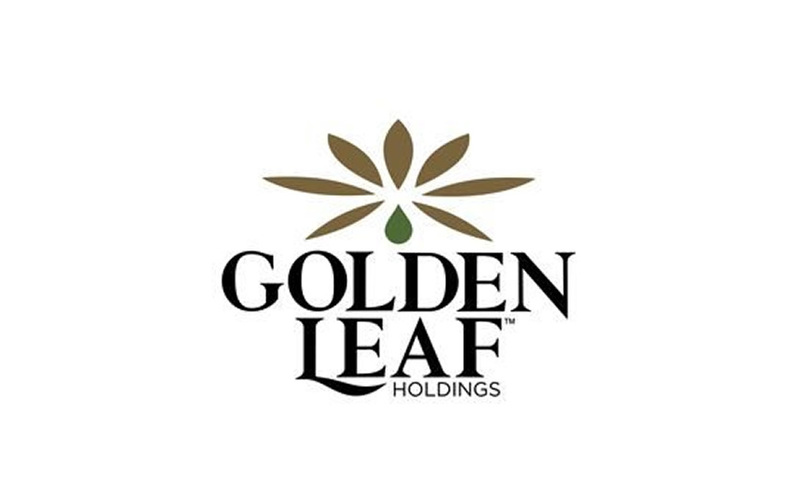 TORONTO, Feb. 04, 2019 /AxisWire/ Golden Leaf Holdings Ltd. (“GLH” or the “Company”) (CSE:GLH) (OTCQB:GLDFF), a leading cannabis oil solutions company built around recognized brands, today announced the appointment of Karyn O. Barsa as its new Chief Financial Officer, effective February 4, 2019. The Company’s outgoing CFO, Craig Eastwood, is leaving the Company to pursue other opportunities. In her role as Chief Financial Officer, Ms. Barsa will lead Golden Leaf’s financial operations and be responsible for managing liquidity, balance sheet risk, and capital market transactions to ensure Golden Leaf remains well positioned to capitalize on growth opportunities. Ms. Barsa will report directly to William Kulczycki, CEO and President of Golden Leaf. Ms. Barsa brings over 20 years of progressive financial leadership in a career marked by conquering business challenges for profitable and ethical growth. Ms. Barsa’s experience includes service as a Director, CEO, CFO and COO for multi-million and billion-dollar privately held and public companies across consumer products, financial services and other industries, including Deckers Outdoor Corporation, Performance Sports Group Ltd., Coyuchi, Inc., Investors’ Circle, Smith & Hawken, Ltd. and Patagonia Inc. Ms. Barsa focuses on strategic growth, process improvements, financial accountability, operations turnaround and developing corporate culture. She worked with Mr. Kulczycki for approximately four years at Patagonia Inc., where he served as Vice President of Sales, Marketing and Product Development, while she was CFO and COO. Disclaimer: This press release contains “forward-looking information” within the meaning of applicable securities legislation. Forward-looking information includes, but is not limited to, statements with respect to the Company’s future business operations, the establishment of, and the future scope and scale of, the Chalice Farms retail system, the level of funding needed to establish the Chalice Farms franchise model, that the Chalice Farms franchise model will be successful and generate positive cash flows, the opinions or beliefs of management and future business goals. Generally, forward looking information can be identified by the use of forward-looking terminology such as “plans”, “expects” or “does not expect”, “is expected”, “budget”, “scheduled”, “estimates”, “forecasts”, “intends”, “anticipates” or “does not anticipate”, or “believes”, or variations of such words and phrases or state that certain actions, events or results “may”, “could”, “would”, “might” or “will be taken”, “occur” or “be achieved”. Forward-looking information is subject to known and unknown risks, uncertainties and other factors that may cause the actual results, level of activity, performance or achievements of the Company to be materially different from those expressed or implied by such forward-looking information, including but not limited to general business, economic and competitive uncertainties, regulatory risks including risks related to the expected timing of the Company’s participation in the adult use market, market risks, risks inherent in manufacturing operations, difficulties of establishing a successful franchise model and other risks of the cannabis industry. Although the Company has attempted to identify important factors that could cause actual results to differ materially from those contained in forward-looking information, there may be other factors that cause results not to be as anticipated, estimated or intended. There can be no assurance that such information will prove to be accurate, as actual results and future events could differ materially from those anticipated in such statements. Accordingly, readers should not place undue reliance on forward looking information. Forward-looking information is provided herein for the purpose of presenting information about management’s current expectations relating to the future and readers are cautioned that such information may not be appropriate for other purpose. The Company does not undertake to update any forward-looking information, except in accordance with applicable securities laws. This press release does not constitute an offer of securities for sale in the United States, and such securities may not be offered or sold in the United States absent registration or an exemption from registration or an exemption from registration.